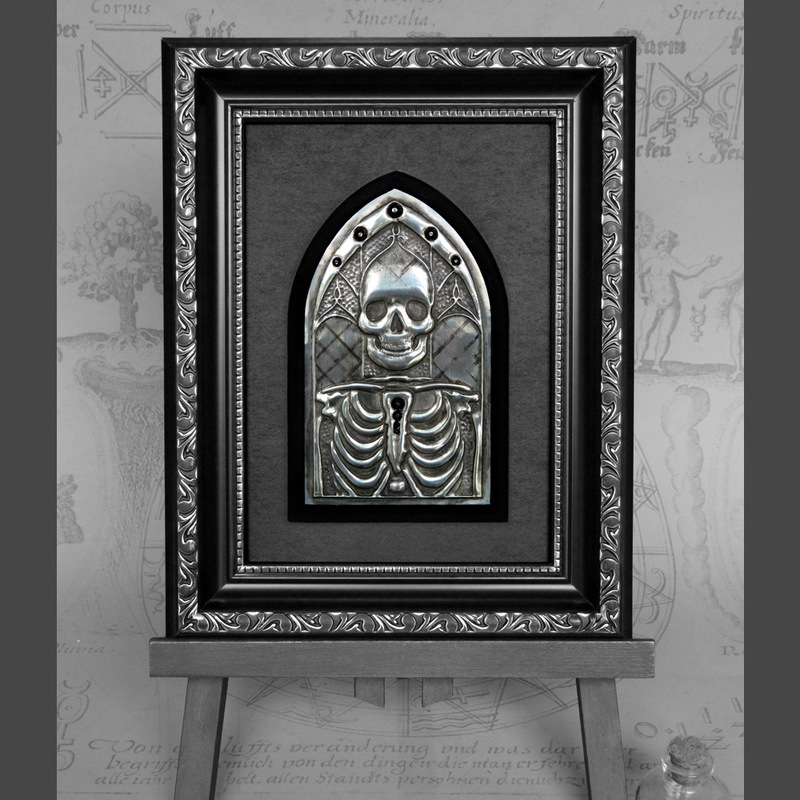 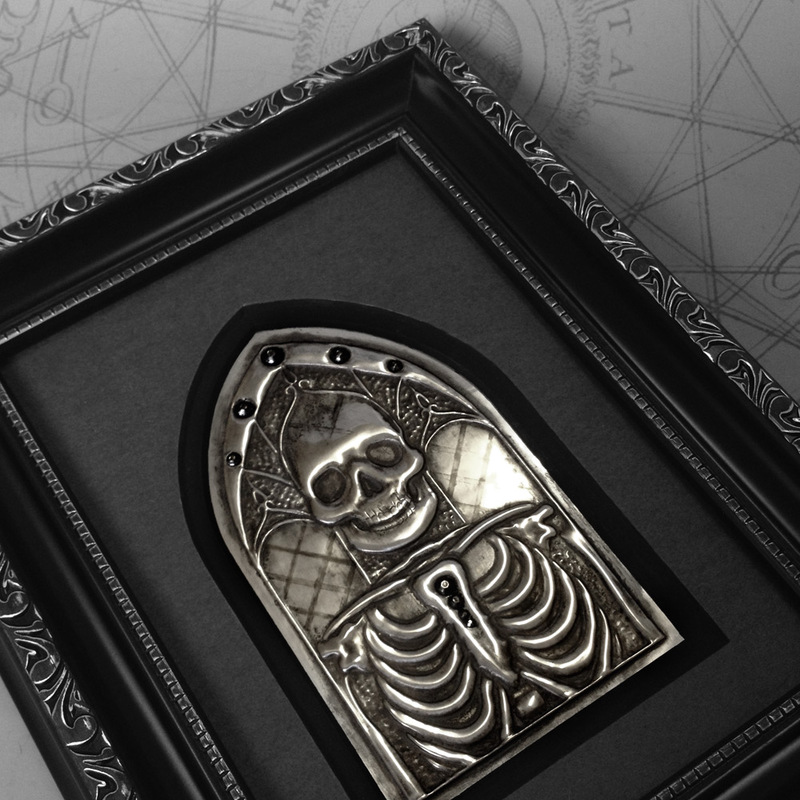 Frame: 23cm x 18cm x 2.5cm / 9" x 7" x 1"
Embossed area: 12cm x 7cm / 4.7" x 2.8"
The seventh in a series of framed ‘skull king’ embossing projects, each set in decoratively shaped double mats and framed in hand-weathered ornate black/silver frames. 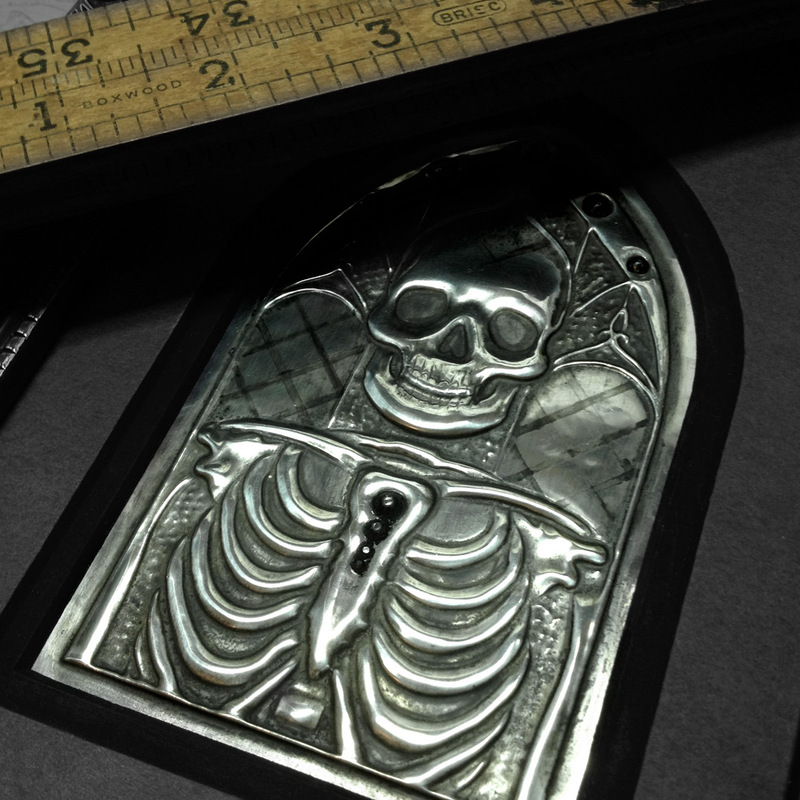 Arch King was inspired by stained glass windows and ornate French-style ironwork. 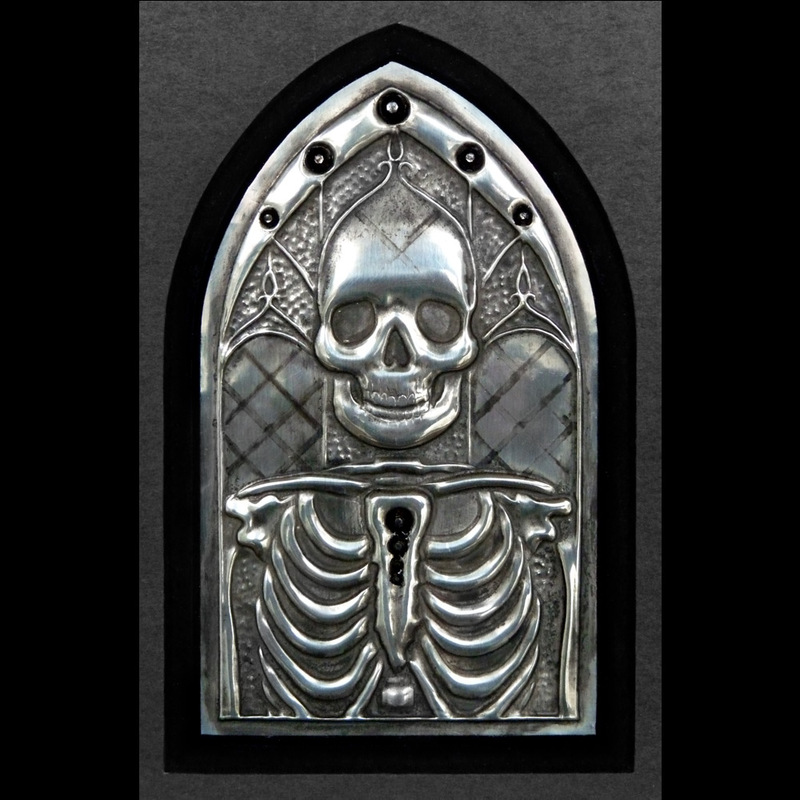 He has hematite-style gems in his sternum and in the archway above him. 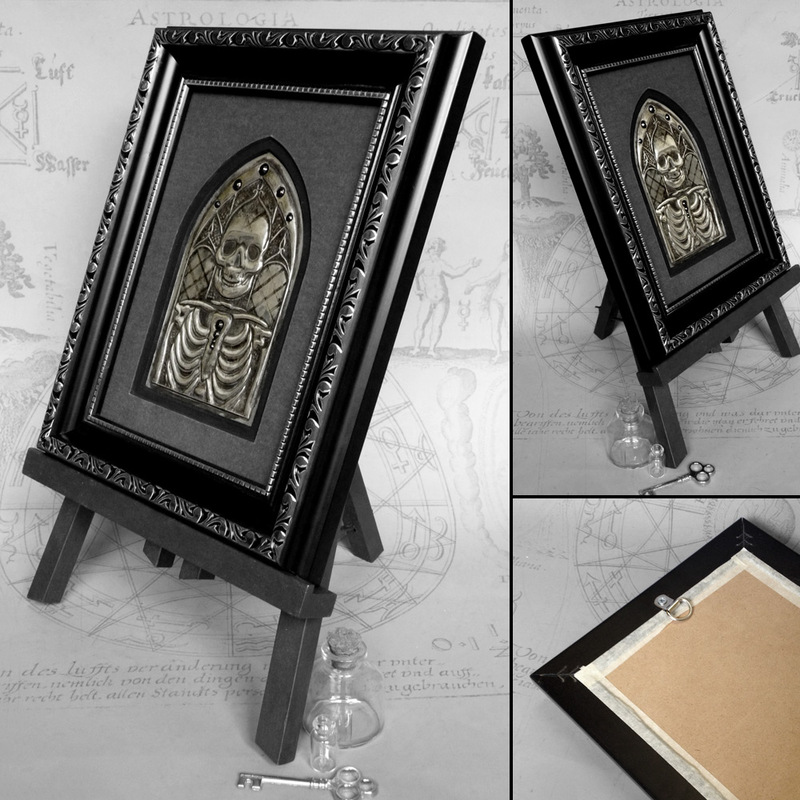 The gems are bedded in with dark antiquing wax and the piece is set in a deep charcoal mat.